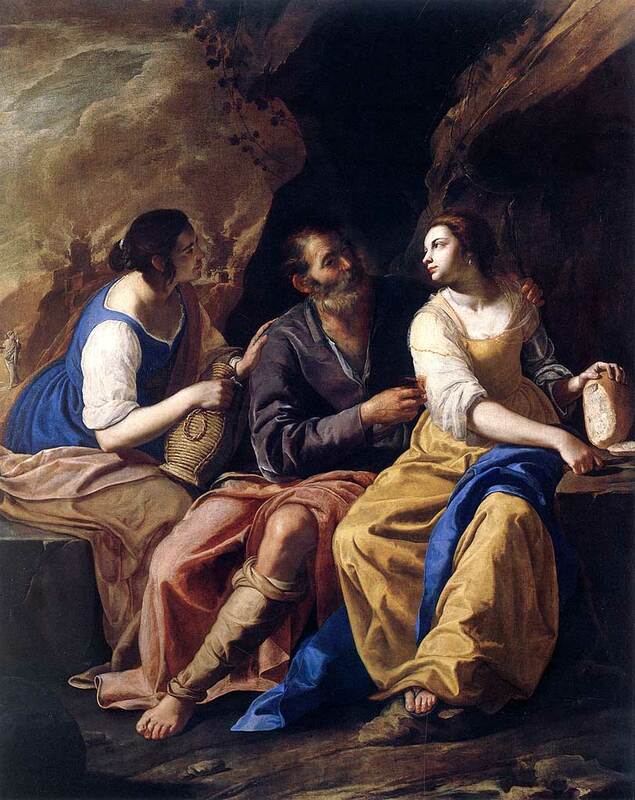 On successive nights, this elderly widower's two unmarried daughters, who were then living in a cave with him, got him drunk on wine, slept with him while he was passed out ("he did not know when she lay down or when she rose"), became pregnant, and later gave birth to sons who became the eponymous ancestors of the Moabites and the Ammonites. Name him. No fair clicking on the picture, which will reveal the answer.